Set Application Offline: A useful feature for when you don’t want to use up your mobile data. Just flip the switch to ‘ON’ to work in offline mode. Right-handed menu: The main navigation menu is on the left side by default. Use this to switch it to the right side of the screen. Show Connection Warnings When Offline: BlogPad Pro warns you whenever you try to save a post and have either lost your internet connection OR have set the application to offline. Switch this to OFF if you don’t want to see these warnings. This setting can be disabled by clicking on ‘Don’t Show Again’ on one of the warning alerts but can only be re-enabled by going into General Settings. Show Hints: Switch this to OFF if you don’t want to see helpful hints and tips. Show Autosave Operations: A message appears in the top right corner of the screen whenever BlogPad Pro does an autosave. Switch this to OFF to hide these messages. Show Memory Warnings: Sometimes IOS sends apps warning messages when the system is running low on memory. IOS can sometimes ‘crash’ an app if a device is running too low on memory, so a memory warning is a good reminder to save your work. Switch to OFF to hide these messages. TextExpander Touch Support enabled: Set to ‘OFF’ if you don’t want to be able to use your TextExpander Touch shortcodes in your blog posts and pages. Host Timeout Interval (seconds): This setting shows how long we are allowing before timing out on a web request. You may want to set this value to a higher value if you server is running slowly (perhaps because you have lots of plugins). The maximum permissible value for this is 30 seconds. Default Font Size for Visual Editor: This setting changes the size your text displays within the visual editor on BlogPad Pro. It doesn’t affect the size of the font on your blog. 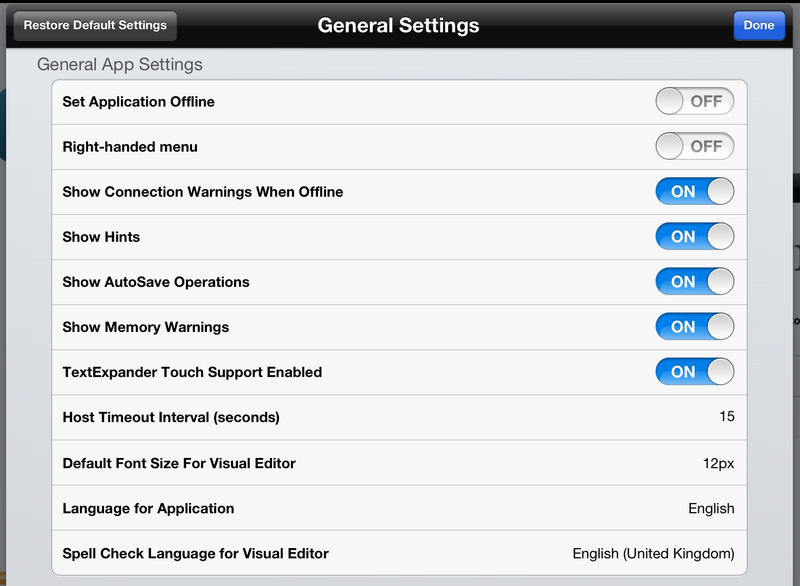 Language for Application: Change the language of the menu options in BlogPad Pro. Spell Check Language for Visual Editor: Select the language for your spell check. For example, if you are writing your blog posts in Italian, select Italian for the spell-check language. Partially download Posts (just Titles): Change this to ‘ON’ if you only want to download your post TITLES. 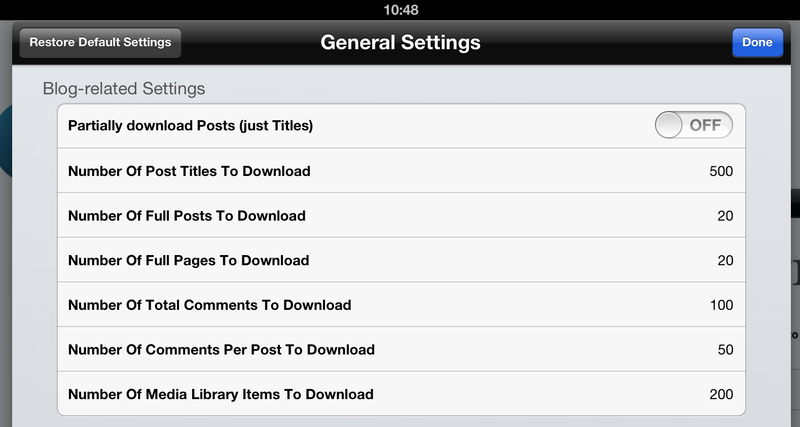 This is useful if you want to download large numbers of posts. Please note it doesn’t include information such as post status or the content of the post. If this setting is set to ‘OFF’ all posts will be downloaded in full. Number of Post Titles to Download: The number of posts to download by default if you have ‘Partially download Posts (just Titles)’ set to ON. You can choose to override this value when you refresh your posts. Number of Full Posts to Download: The number of posts to download by default if you have ‘Partially downloaded Posts (just Titles)’ set to OFF. You can choose to override this value when you refresh your posts. Number of Full Pages to Download: The number of pages to download by default when you refresh. You can choose to override this value when you refresh your posts. Number of Total Comments to Download: The number of comments to download by default when you refresh. You can choose to override this value when you refresh your posts. Number of Comments Per Post to Download: The maximum number of comments downloaded for each post when you refresh your posts. You can choose to override this value when you refresh your posts. Number of Media Library Items to Download: The number of media library items to download when you refresh your media items. You can choose to override this value when you refresh your posts. Number of Authors to Download: The number of admins, editors, authors and contributors downloaded when you refresh your blog settings. 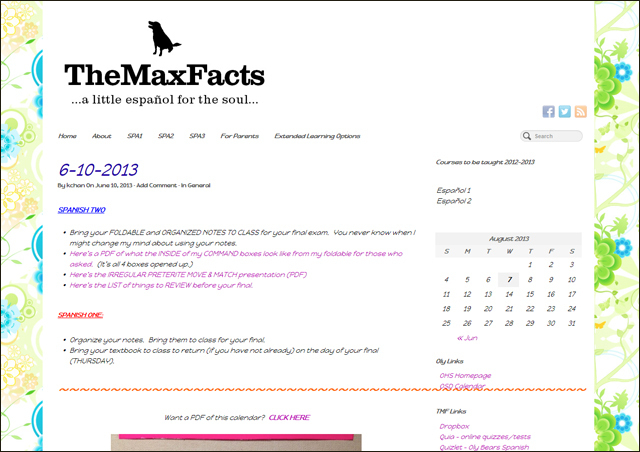 Max Upload Filesize (kB): The maximum file size recommended to upload to your blog. This is a warning rather than a restriction. Note: If you are running a version of WordPress before 3.4 you are restricted to a maximum upload file size of 1.5 MB. Default Video Width (pixels): The default width a video will be inserted when added to a blog post. Default Video Height (pixels): The default height a video will be inserted when added to a blog post. Default Image Width (pixels): The default width an image will be when it is inserted into a blog post if you have ‘Autosize new images in Post/Page’ enabled or you select this option when you insert your image. Default Image Height (pixels): The default height an image will be when it is inserted into a blog post if you have ‘Autosize new images in Post/Page’ enabled or you select this option when you insert your image. Maximum Image Width (pixels): The maximum width an image will be when it is inserted into a blog post. Maximum Image Height (pixels): The maximum height an image will be when it is inserted into a blog post. Autosize new images in Post/Page: Set this to ON if you want new images to be automatically sized to fit within the constraints of ‘Default Image Width’ and ‘Default Image Height’ when added to a post or page. Set to OFF to manually set the size of your images. Upload Hi Res Image: Set to ON if you want to upload a high resolution version of your image into your media library as well as the size you are inserting into your post. Link to Hi Res Image: Set to ON if you want to automatically create a link to the hi res image you have uploaded. This option is only available if ‘Upload Hi Res Image’ is set to ON. This week’s featured blogger is Kate Chan who, as a teacher, uses BlogPad Pro with her students to support her foreign language teaching. Actually, I have two blogs. One – my personal blog – is called GlutenFreeGobsmacked.com. 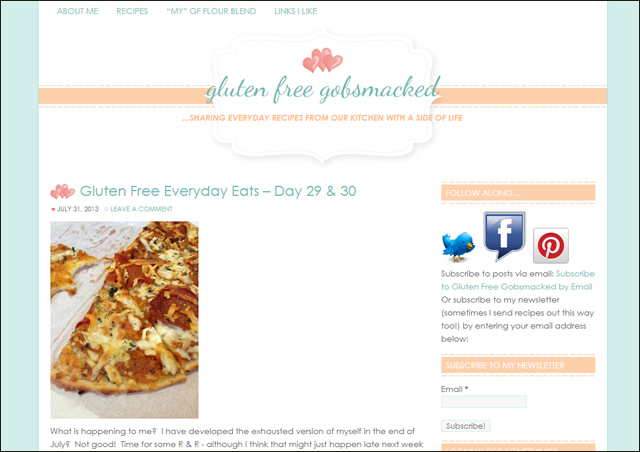 I blog randomly with gluten free recipes after being diagnosed with Celiac Disease in 2000. The other blogs I write relate to my profession. One is simply a website (powered by wordpress.org) to help my students. TheMaxFacts.com (Named after our old dog, Max) has primarily been a place where I can post homework, supporting links, parent communication, etc for my classes. I began the site a long time ago – but it’s most recent “blog” format is the easiest for me to update and maintain. After all, I’m not a computer teacher/techie – but I love the ease of communicating with my students and their families this way. How much of your blogging do you do on your iPad? 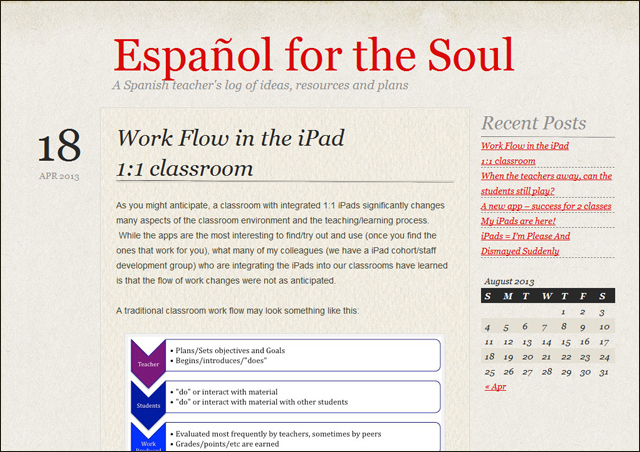 I truly sought out a blogging platform for the iPad for my students. I’m a foreign language instructor, I wanted to find a way for my students to share out as they began their language development. Once I became a recipient of a classroom set of iPads, I needed to find an app that would support multiple users, multiple wordpress.com blogs, offline use (as we can lose internet at the drop of a hat). I am slowly converting myself to blogging via iPad. I have to find a way to be more efficient with images/media as many are on my laptop. However, that being said, I love the ability to upload images via BlogPad Pro and have the app help me resize, etc. Super Slick. My goal is to be blogging at least 3 times each week from my iPad in class to save myself time rather than blogging from a laptop or desktop after school/at night. My students blog at least once a week. (160 students x 1 a week = just in my classes alone!) It was so successful last semester (or first trial run) that I have brought two more colleagues into the loop. One will begin this fall with blogs for her classes and the other will roll out blogging for more of her students. Having students write and post things suddenly brought about more focus and drive. Students weren’t just repeating random silly sentences to bury in the middle of the papers in hopes that my midnight grading stupors would miss it. Their work really developed over the course of our online blogging. I will be doing it again next year and have created some benchmarks to help students see their growth through blogging as well. I mentioned mine earlier. My students have created about 160 wordpress blogs. My colleague began with 70 of her students last Spring and will add an additional 100 this year to the fold. I will have another 135 new students this year (overlap of about 30 from last year’s classes). The third colleague will blog once a week with her group of 150 as well. Which features within BlogPad Pro do you use the most? Being able to import images and instantly resize/etc is a HUGE luxury. Students have sometimes not finished their blog posts before class is over but they always get their images uploaded. The few who have not finished with the images are at a complete loss for how to manage that side of blogging from home. It’s just so simple with BlogPad Pro. I just can’t say this enough about this tool for us. In addition, being able to blog while offline, update/sync to live, format posts, log in/out with various users/usernames are all critical pieces that had us choose BlogPad Pro. As teachers who use/integrate technology we *know* there will be hurdles and we are not going to sacrifice our curriculum for the “bling” of a techie-shiny thing. Not wasting time on that stuff while trying to get students to focus on the task at hand (our content exploration/study) was essential. These tools (offline blogging, etc) allowed our students to worry about their content first. Just as good bloggers should. There is absolutely no doubt in my mind that without such amazing support and communication I would wonder if I’d lost my mind trying to blog with my students. Blogging individually and facilitating 160 + students (and colleagues/their classes) with blogging is a totally different world than just my own little world of GlutenFreeGobsmacked.com It’s exciting to see kids “go public” with their skills (no matter what level they are with their language development) and “share out”. It’s meeting them where they are. Dino and Mary allowed and supported that to happen with grace, humor and amazing selflessness. If you use BlogPad Pro and would be interested in being featured please get in touch, we’d love to hear from you! For the first in our new series of Featured Bloggers who use BlogPad Pro, we’re talking to vintage fashion enthusiast Mary from We Heart Vintage. We Heart Vintage is a blog about three things I love: vintage fashion, photography and classic films. I started blogging as a New Year’s resolution in 2011 and discovered I absolutely loved it. I was amazed by the amount of visitors I was getting and We Heart Vintage just kind of snowballed from there! So, how many blogs do you have? I currently have about 10 blogs (I’m a bit of a serial blog-starter), but I only actively use 3 of them. We Heart Vintage is a self-hosted WP blog and the others are all WP.com. My blogs are all very photo-rich and I spend a lot of time adding images so anything which makes this quicker and easier is great. I’ve set the default maximum image size so that my photos are automatically inserted at the right size – that saves me lots of time. I mostly use the visual editor for writing my posts, but as a web developer it’s great to be able to get to the html easily too. I also love how easy it is to add links to other posts within my blog which gives me lots of lovely SEO juice! Oh, and of course stats. Every blogger needs easy access to their blog stats! If you’d like to find out more about Mary’s blog take a look at We Heart Vintage here. Do you use BlogPad Pro to blog on your iPad? We’re looking for avid WordPress bloggers who would be interested in being featured on our blog. Do you use BlogPad Pro in the classroom, for a personal blog, for your business? Get in touch and tell us a bit about your blog and how you use BlogPad Pro and we might showcase you! If you have a self-hosted WordPress blog and have upgraded to Version 1.3 of BlogPad Pro you may have experienced an issue with uploading images. 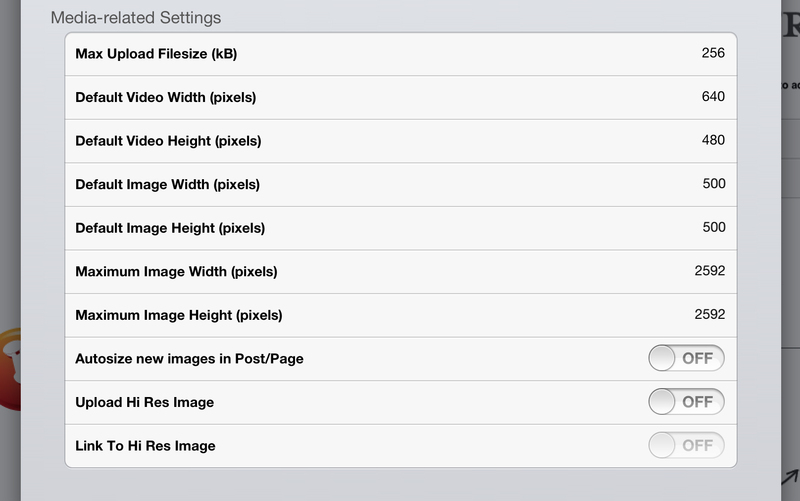 You no longer have the option to upload images from your iPad, or DropBox and these options are greyed-out. This issue only seems to affect a few self-hosted WordPress users and is simple to fix. When you update BlogPad Pro to version 1.3, any existing blogs you had added should have been “upgraded” to take full advantage of some changes we have made relating to User Roles (i.e. Whether your WordPress login account is an administrator, editor, etc). However, there appears to be a bug in WordPress’s self-hosted code. It seems that, even though the login account is an “administrator”, the WordPress XMLRPC API (Application Programming Interface) still doesn’t report the correct Role. We suspect that the API isn’t reporting any Role at all, at this stage. By re-saving the role, it seems that this then fixes the problem because the WordPress API will finally report the correct Role for the user. We will be passing this information on to WordPress for them to look at from their side too, as well as trying to work around it in future versions of BlogPad Pro. There are 3 quick and easy things to try which should manually trigger this “upgrade” and fix the problem. The first thing to do is to update your version of WordPress to the most recent version. To do this just go to your Web Dashboard and follow the prompts to update to the latest version of WordPress. Another thing to try is, for any blogs affected, go to “Manage Blogs” (that’s the blue button at the top of the menu bar) select the right-facing arrow to show the “Blog Options” and tap on “Update Settings From Live”. This should re-retrieve your account’s User Role and you should then be able to add images, etc. For the majority of users this quick update will fix the problem. Go to your Blog’s Dashboard from “Manage Blogs” by selecting the right-facing arrow to show the “Blog Options” (as above) and tap on “Go To Web Dashboard”. Go to the “Users -> All Users”. For the user that you are having problem with, ensure that the checkbox for that user is checked (on the left hand side of that blog) and then select “Change role to…” and select the correct Role and tap on the “Change” button. (NOTE: You have to do this even though it may already be showing as Administrator, because this is where the bug is in the WordPress API! By performing this task, you are ensuring that the API should now know the correct role for your login). Alternatively, you can update the Role for any particular user by tapping on “Edit” for that user on the “All Users” screen. 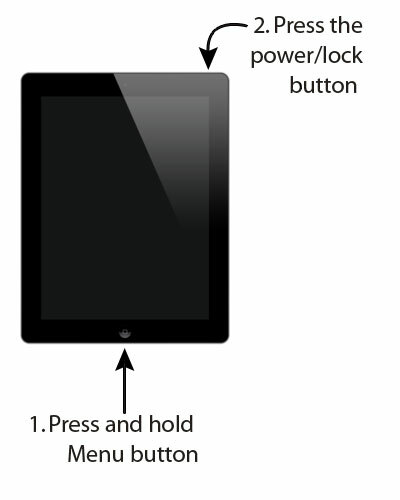 Once you have done this, you now need to trigger the manual “upgrade” again as mentioned in the previous paragraph. You may even trigger this upgrade by leaving BlogPad Pro and coming back to it (eg by pressing on the iPad’s Home button and then returning to BlogPad Pro again). It’s worth noting that (as far as we know) we’re the only people using WordPress’s very latest API, even WordPress themselves are not using this API yet for their own iOS app! If this does NOT fix the issue for you, then please get in touch (it is very easy to do this from within BlogPad Pro from the Help Options, by either tapping on “Ask a Question”, “Send Us Feedback” or “Report A Bug”). In the latest release of BlogPad Pro we’ve added lots of new features including adding support for TextExpander Touch. If you haven’t heard of TextExpander Touch it’s a great app for your iPad which allows you to “type more with less effort”. You set up shortcodes and when you type them they are substituted with a block of text. This saves you a huge amount of time if you find yourself frequently re-typing the same phrase! But what if I don’t want to use TextExpander in BlogPad Pro? If you prefer your TextExpander Touch shortcodes NOT to work in BlogPad Pro you can simply switch this option off. Go to settings (that’s the green button in the bottom left), scroll down until you see ‘TextExpander Touch Support Enabled’ and switch this to OFF. To find out more information about new features in BlogPad Pro 1.3 check this out. We’ve introduced lots of new features in the latest release of BlogPad Pro for iPad (you can find out more about these here). Some of the most requested features were the introduction of a Spell Check, a Search/Replace option for searching within your open post or page, and a Word Count. Below: Easily identify and correct spelling mistakes with our spell checker. You can also drag the Spell Check box around the screen and place it where you want to. The Word Count is also on this screen. Below: Search for words in your post or page text. You also have the option to replace or replace all. You can read about more new features from BlogPad Pro 1.3 here. BlogPad Pro version 1.3 is now available. It is packed with great new features, improvements and bug fixes. You can update your copy by going to our page in the App Store and selecting ‘update’. One of the great new features is the ability to take a photo from within BlogPad Pro. Open the post you would like to add your image to and tap where you want to insert the image. Then tap on the ‘media’ icon in the toolbar (the one that looks like a camera). You’ll see there is a new camera icon on the top right (see below) of the Photos dropdown box. When you’re happy with the photo you’ve taken tap the blue ‘Use’ button (bottom right). If you would like to re-take the photo tap on the ‘Retake’ button (bottom left). And your photo is now in your blog post.